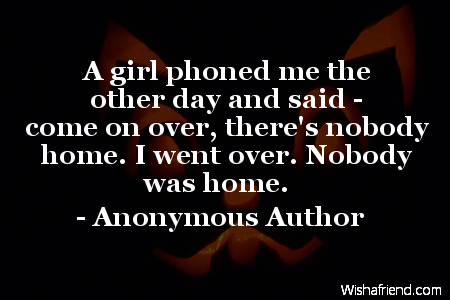 Anonymous Author Quote: A girl phoned me the other day and said - come on over, there's nobody home. I went over. Nobody was home. A girl phoned me the other day and said - come on over, there's nobody home. I went over. Nobody was home.